“Subsequently, her parents just forgot about this young lady. I would like to suggest that they should reposition it as the new Bali,” he said. As such, Kwek explained that the non-residential part of Sentosa can be transformed to be a venue for meetings and conferences. He also said that the hotels in the island, with more expected to launch in years to come, will be able to garner more visitors. According to Kwek, while Bali has become a “congested” location with unpredictable climate and bad traffic, it still manages to attract tourists as a destination. In a statement to Marketing, a Sentosa Development Corporation (SDC) spokesperson said that it is working with various stakeholders to draw up plans for Sentosa and its surrounding areas, in a bid to further enhance Sentosa’s appeal as a “world-class leisure destination” for locals and tourists. The spokesperson added that through this exercise, SDC will strengthen leisure experiences through the curation of attractions, improvement of transport connectivity and enhancement of the beaches and tranquil green ridgeline, while ensuring authentic experience and environmental sustainability. Addressing the tourism boost in MICE sector, the SDC spokesperson said that the company has placed emphasis on the MICE industry and has been establishing collaborations with MICE-related partners locally and overseas to establish Sentosa as a novel destination. This will be for both unconventional and unique MICE events, and as an option for high profile events and conferences. Following the two high profile meetings held in Sentosa last year (namely, the Trump-Kim Summit and the Bloomberg New Economy Forum), the spokesperson added that Sentosa has demonstrated the ability to host such events well. “As an all-encompassing destination with hotels, attractions, restaurants, beaches and various spaces, Sentosa is well placed to curate and deliver unique experiences which we know MICE groups value. This includes customised teambuilding activities to unique sand or sky dining experiences, from displaying corporate logos in a light and water show, to having an exclusive beach party complete with fireworks,” the spokesperson said. In addition, Far East Hospitality will be launching three hotels in Sentosa as well as an events centre this year, adding to the island’s hotel room inventory and offerings. The spokesperson added that the company aims to bring in the business travellers and launch MICE events. Moreover, earlier this month, Singapore Tourism Board (STB) recorded a growth in visitor arrivals, as 2018 marked as a strong year for Singapore’s tourism sector as core tourism industries of Business Travel and Meetings, Incentive Travel, Conventions and Exhibitions (BTMICE) and hotels sector. STB said that it will continue to grow and develop the tourism sector with new offerings and refreshed concepts to ensure Singapore remains an attractive destination. In a statement to Marketing, Graham Hitchmough, regional chief operations officer of Bonsey Design said that repositioning Sentosa as the “new Bali” will be difficult, given its culture, history and wide-ranging appeal from backpackers to luxe travelers. “One of Sentosa’s most fundamental issues is its constant craving to be the ‘next something’ – the next Monte Carlo, the next Disneyland, the next Ibiza. It is this constant mindset of fabrication, imitation and reaching to be something that it is patently not, which makes the ‘Sentosa experience’ still feel at times superficial and disconnected,” he said. Despite the features and attractions, Hitchmough said that the overall packaging and selling of Sentosa seems “forced and self-conscious, with a constant pressure to change its positioning”. 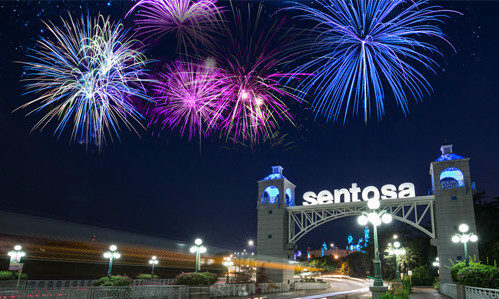 He added that Sentosa will do well as a destination, with less “fanciful” marketing and segment strategies. “Instead, the focus should be on building an accessible, authentic experience that is both a complement and counterpoint to Singapore overall, rather than trying to be something it is not,” Hitchmough said. Richard Bleasdale, former managing partner of The Observatory International said that published visitor numbers recorded only a third of the annual visitors that Sentosa brings in. According to Bleasdale, Sentosa has already outperformed Bali, however, Bali has a “stronger and clearer” brand image than Sentosa for the majority. When you think of Bali, the images it conjures are likely more exotic and enticing. Bleasdale added that in comparison to Bali’s brand image, Sentosa requires work on its brand positioning. He said that although Sentosa owns the concept of “fun”, it seems to post questions for consumers than actually answering to them. He added that this is in contrast with expressions such as “Fun Central”, “Funtasy Island” or even “Funtastic Sentosa”, which are “more compelling and memorable”. However, he said that despite Sentosa’s ownership of fun, Sentosa Cove remains with no clear positioning online and seems to be a challenge. Nick Foley, president Southeast Asia Pacific and Japan, Landor agreed with Bleasdale that Sentosa’s positioning of the ‘State of fun’ works well and captures the many activities that are offered. However, similar to Bleasdale, Foley said that Sentosa Cove seems to be the “state of vacancy” with many properties quietly up for sale, with rental yields down and several vacant shops and apartments. “The rich and famous crowd so intent on securing soul-less houses in gated communities, with properties that adorn man-made canals, have well and truly moved on,” he added. Foley added that the Sentosa should tap on the visitors to Singapore in general. According to Foley, a number of travellers view Singapore as a “stopover”, and that Sentosa should embrace this and seek to attract as many international visitors to the island as possible. However, he was of the view that Sentosa can and will never be the new Bali, adding that Sentosa should “play to its strengths”. According to Bleasdale, Sentosa’s “fun” positioning can be developed to answer the experiential desires of the MICE industry in unique and memorable ways. He said that separate to the hygiene requirements of suitable meeting/expo space and sufficient accommodation options, the MICE industry is increasingly looking for unique “experiential” themes and destinations. Meanwhile, Landor’s Foley said that Sentosa has to play to Singapore’s strength of located within the Asia Pacific region. “It is easy to get to, has one of the world’s best airports, no traffic snarls and is both safe and politically stable. Sentosa’s many conference facilities, attractions and premium hotels aligns well with what business travellers and conference organisers are looking for,” he added. NEW YORK, Feb. 22, 2019 /PRNewswire/ -- Meredith Corporation's (NYSE: MDP, www.meredith.com) Travel + Leisure released its 14th annual It List, a selection of the best new and renovated hotels in the world. The list is on TravelandLeisure.com and in the March issue, available on newsstands today. Each year, Travel + Leisure editors check in to hundreds of new hotels around the globe in search of the properties that offer a winning alchemy of setting, design, and service. The editors then collaborate with Travel + Leisure's global network of travel writers, contributors, and agents to narrow down the list. "Hotels are a prominent part of the travel experience, which is why we devote an entire issue to this topic each year," said Jacqueline Gifford, Editor in Chief of Travel + Leisure. "With more than 70 hotels chosen, from a colorful escape in San Miguel de Allende, Mexico, to two safari resorts in Namibia, we're excited to share why these properties excite us, how they connect us to people, and the many ways they provide comfort when we're far from home." The Line D.C. — Washington, D.C.
Share your favorites from the list on social media using #TLItList. Follow Travel + Leisure on Twitter: @TravelLeisure; Instagram: @TravelandLeisure; Pinterest: @TravelLeisure; and Facebook: Facebook.com/travelandleisure. Travel + Leisure is the preeminent voice for the sophisticated traveler, serving up expert intelligence and the most immersive, inspiring travel lifestyle content anywhere. Travel + Leisure captures the joy of discovering the pleasures the world has to offer—from art and design to shopping and style to food and drink—and offers compelling reasons to get up and go. With a total global audience of more than 16 million, the Travel + Leisure portfolio includes the U.S. flagship and four international editions in China, India, Mexico, and Southeast Asia. The U.S. edition of T+L, which launched in 1971, is the only monthly consumer travel magazine in print in the U.S.; has an authoritative website, TravelandLeisure.com; and has an extensive social media following of more than 13 million. Travel + Leisure also encompasses newsletters and media collaborations. Meredith Corporation (NYSE: MDP) has been committed to service journalism for more than 115 years. Today, Meredith uses multiple distribution platforms—including broadcast television, print, digital, mobile and video—to provide consumers with content they desire and to deliver the messages of its advertising and marketing partners. Meredith's National Media Group reaches 175 million unduplicated American consumers every month, including 80 percent of U.S. Millennial women. Meredith's Local Media Group includes 17 television stations reaching more than 11 percent of U.S. households.